Discussion in 'Available / Expiring Indian Domain Names' started by INB, Mar 6, 2017. Here is the exclusively selected and carefully picked list of .in and co .in domains dropping on 11th March. These kind of premium names are impossible to be available for regular registrations. You can order any of them for just $25 flat. Here is the exclusively selected and carefully picked list of .in and co .in domains dropping on 12th March. These kind of premium names are impossible to be available for regular registrations. You can order any of them for just $25 flat. Here is the exclusively selected and carefully picked list of .in and co .in domains dropping on 13th March. These kind of premium names are impossible to be available for regular registrations. You can order any of them for just $25 flat. Here is the exclusively selected and carefully picked list of .in and co .in domains dropping on 14th March. These kind of premium names are impossible to be available for regular registrations. You can order any of them for just $25 flat. 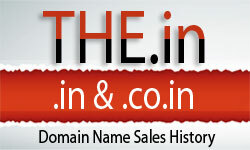 Here is the exclusively selected and carefully picked list of .in and co .in domains dropping on 15th March. These kind of premium names are impossible to be available for regular registrations. You can order any of them for just $25 flat. Here is the exclusively selected and carefully picked list of .in and co .in domains dropping on 19th March. These kind of premium names are impossible to be available for regular registrations. You can order any of them for just $25 flat. Here is the exclusively selected and carefully picked list of .in and co .in domains dropping on 20th March. These kind of premium names are impossible to be available for regular registrations. You can order any of them for just $25 flat. Here is the exclusively selected and carefully picked list of .in and co .in domains dropping on 7th April. These kind of premium names are impossible to be available for regular registrations. You can order any of them for just $25 flat. Here is the exclusively selected and carefully picked list of .in and co .in domains dropping on 8th April. These kind of premium names are impossible to be available for regular registrations. You can order any of them for just $25 flat. Here is the exclusively selected and carefully picked list of .in and co .in domains dropping on 9th April. These kind of premium names are impossible to be available for regular registrations. You can order any of them for just $25 flat. Here is the exclusively selected and carefully picked list of .in and co .in domains dropping on 10th April. These kind of premium names are impossible to be available for regular registrations. You can order any of them for just $25 flat. Here is the exclusively selected and carefully picked list of .in and co .in domains dropping on 11th April. These kind of premium names are impossible to be available for regular registrations. You can order any of them for just $25 flat. Here is the exclusively selected and carefully picked list of .in and co .in domains dropping on 12th April. These kind of premium names are impossible to be available for regular registrations. You can order any of them for just $25 flat. Here is the exclusively selected and carefully picked list of .in and co .in domains dropping on 13th April. These kind of premium names are impossible to be available for regular registrations. You can order any of them for just $25 flat. Here is the exclusively selected and carefully picked list of .in and co .in domains dropping on 14th April. These kind of premium names are impossible to be available for regular registrations. You can order any of them for just $25 flat. Here is the exclusively selected and carefully picked list of .in and co .in domains dropping on 16th April. These kind of premium names are impossible to be available for regular registrations. You can order any of them for just $25 flat. Here is the exclusively selected and carefully picked list of .in and co .in domains dropping on 17th April. These kind of premium names are impossible to be available for regular registrations. You can order any of them for just $25 flat. Here is the exclusively selected and carefully picked list of .in and co .in domains dropping on 19th April. These kind of premium names are impossible to be available for regular registrations. You can order any of them for just $25 flat. Here is the exclusively selected and carefully picked list of .in and co .in domains dropping on 20th April. These kind of premium names are impossible to be available for regular registrations. You can order any of them for just $25 flat.